This time I want to introduce to you my favorite denim clothes collection. In this post, I have gathered all must-have denim styles that gonna be on trend all year around. Designer brands offer us denim made clothes in everything from girly dresses to rompers, kimono wraps, and jumpsuits. I tell you honestly, this year is all about experiments and finding your one and only look. The spring and summer seasons got a lot of interesting denim trends to offer. It feels like designer brands want ourselves to be fully clad in denim. It’s up to you what to choose, as I see numerous of variations, starting from awesome culottes, high-waisted tight skinnies to flares, distressed boyfriends and It-skinnies. But this is just a beginning of the story. Denim appears in everything. This fabric provides harmony and gives your overall outfit a perfect confidence. What I really like about next year’s denim is the various decades looks, I mean some designers offer 1990’s inspired outfits, others come with 1970’s vintage styles or 1960’s retro looks. Every decade has its own unique approach, that’s why brands try to implement various styles in their collections. The refreshed memories are here to stay with us! What I see now is really makes me say: WOW! 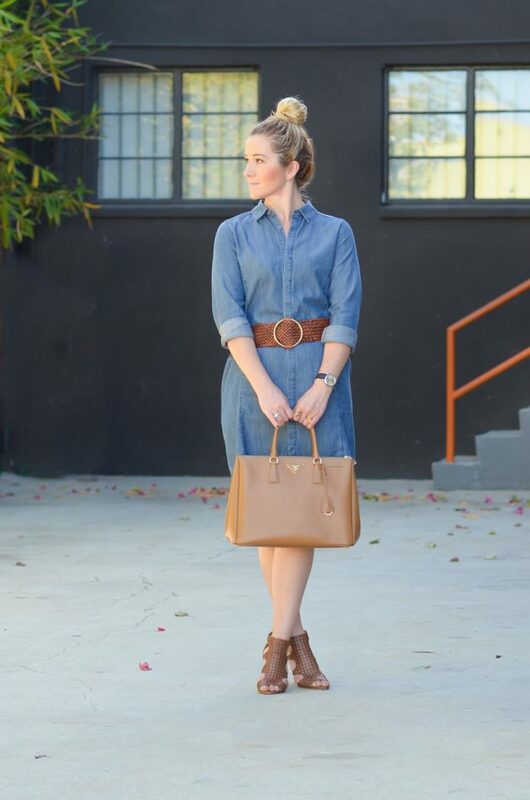 Even retro denim frocks look old but modernized with fashion-forward details and updated modern silhouettes. The 1990’s jeans are coming back in a big way, they are slouchy and wide-legged. I see printed denim. It appears as floral jeans or fruit printed denim skirts and dresses. The knee-ripped denim pants are still in vogue, but this year they are not only skinnies but also slim-fits. My personal favorite is the white dotted chambray shirt that can be paired with any bottom you like. Speaking of bottoms, then I really recommend to take a closer look at long denim skirts. The 1990’s floor-sweeping designs look awesome! Anyway, let’s have a closer look at some of my favorite street style images. Let me know your thoughts in the comments below. A lovely double denim look that consists of a biker inspired denim jacket and front buttoned denim skirt completed with white ankle boots. I do recommend to see my latest post about button front skirts that are easy to wear and look timelessly chic. A perfect look for casual cold Mondays. You will need a cozy bell sleeve sweater, light blue jeans and cool sneakers. Speaking of kicks, I do recommend to check my article about Summer season ways how to wear sneakers with dresses. You will see lots of inspiring combos that feature all my favorite sneakers and bright color dresses. Do You have any thoughts about Women’s Denim Clothes To Try Now? 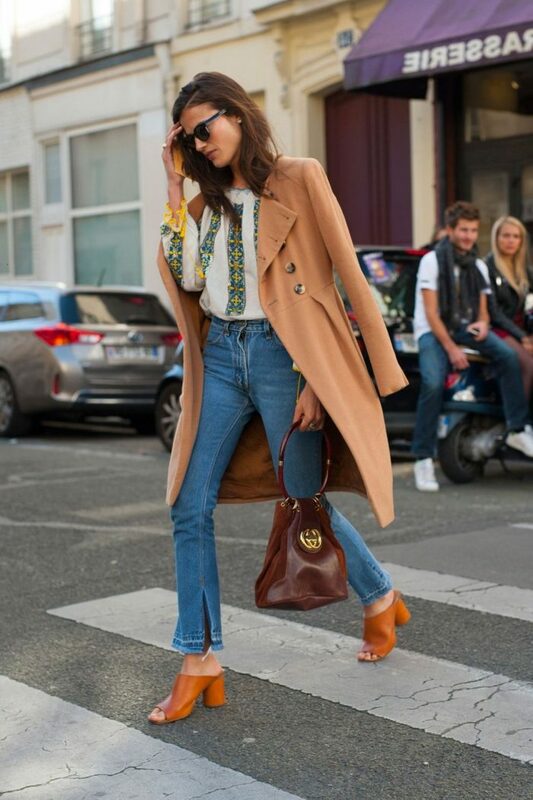 Here are Fashion Tips pictures and trendy women’s outfits which are in style in 2019: 1970 Style, 1990 Style, Best Women's Skinny Jeans, Denim Culottes, Denim Dresses, Denim Skirts, Denim Trends For Women, Distressed Boyfriend Jeans, Flared Jeans, Knee Ripped Jeans, Printed Denim, Street Style Women's Fashion And Inspiration and tips on how to wear them on the streets.